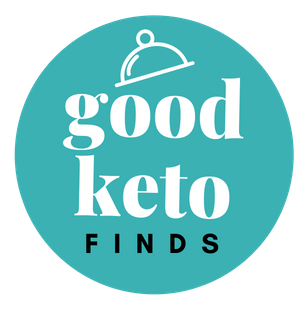 The Good Keto Finds website, a Holley Creative brand, is currently located at https://goodketofinds.com (“Site”) includes information about various third party products and services. The views and opinions on the Site belong purely to the respective authors. Holley Creative, LLC expressly disclaims any liability arising out of your reliance on the opinions expressed herein. Although we always strive to maintain accurate and up-to-date information on the Site, you should not rely on any such information but should instead independently verify the information with the applicable manufacturer or provider. The authors of some of the content on the Site are compensated for their views on various products and services. Regardless, we always provide our honest opinions, findings, beliefs, or experiences on the products and services discussed on the Site. Accordingly, we only endorse products or services that we believe, based on our expertise, are worthy of such endorsement. We will clearly and conspicuously notify users in connection with any posted content for which we were or will be compensated or for which we received a free sample in exchange for writing a review. The content will be identified as being a “Sponsored Post” if we have been compensated in any regard, big or small, in exchange for posting the content on the Site. We will also make it clear to users if we are to receive a commission on the sale of any product or service that you purchase through a link on our website to a third party website. In addition, we will clearly inform you at the beginning of any review of a product or service if we received a free sample in exchange for writing the review. Please understand that we are under no obligation to write a positive review and therefore, all of our reviews reflect our honest opinions – both good and bad. If you purchase a product with (aff) on the page or next to the item, we will receive a commission on the sale. We hope that you find the information on our Site useful. Please feel free to contact us at contact@holleycreative.com with any comments or suggestions about the Site.